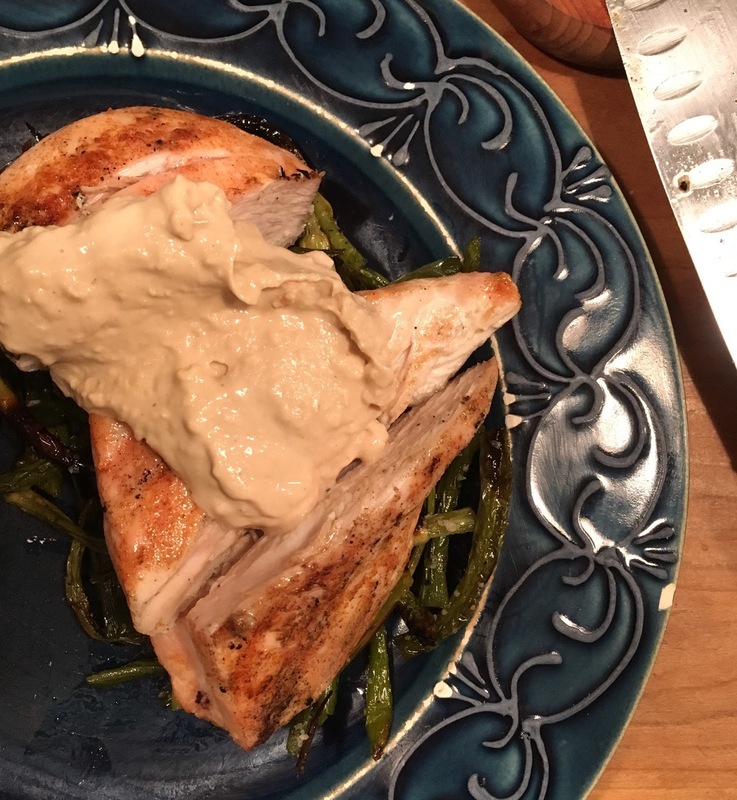 I always have a can of tahini in the fridge for hummus, salad dressings, and this tangy sauce that makes an ordinary piece of grilled chicken into something special. Whisk together or food process a half cup of tahini, the juice of one lemon, and a quarter cup of hot water until smooth then salt to taste. Minced garlic or cayenne pepper are optional. It’s August…more time at the river, less time in the kitchen.